Hardened and tempered milled jaws, six step adjustment and moulded handles with slip guards. 9.5" has 30mm jaw capacity, 11.5" has 65mm capacity and 15.5" has 110mm capacity. 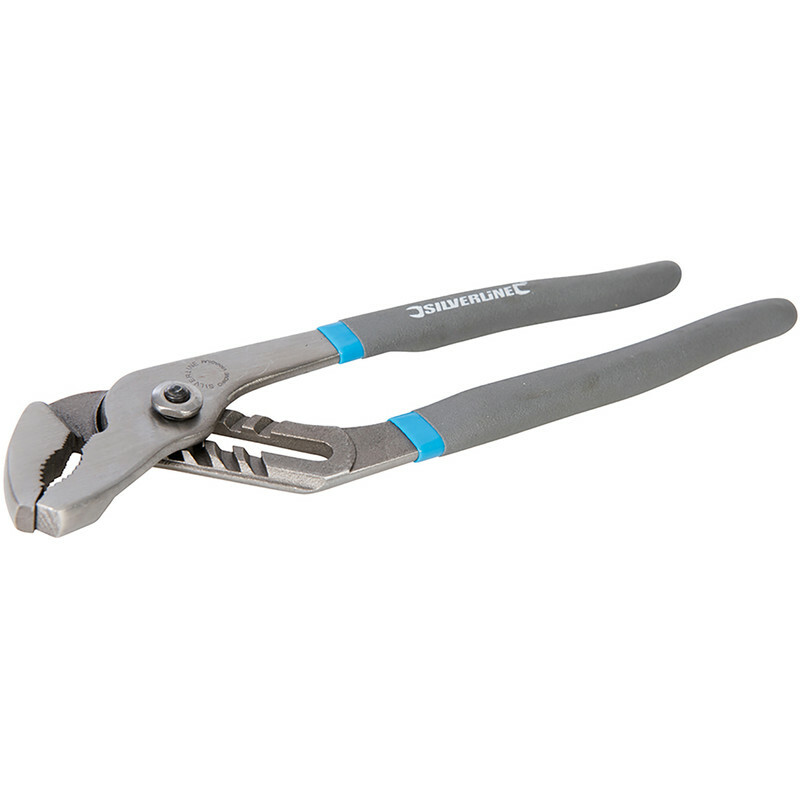 Waterpump Pliers 9.5" (250mm) is rated 4.7 out of 5 by 18. Rated 5 out of 5 by Sull from Great pliers, great price I’ll be honest I wasn’t expecting much for the price but left mine at home and would have cost more to drive back from a job. Worked really well. Nice weight and the grip on the nut was brilliant. These will stay in my tool bag. Rated 5 out of 5 by RonAtLondon from Works just fine Bought this for a DIY job to replace a kitchen tap valve cartridge that was jammed up. This worked fine and was way cheaper than quotation received from a plumber. Rated 5 out of 5 by SuperMario from This item is perfect for radiators. This item is perfect for radiators. Rated 5 out of 5 by Rangzeb from Top buy It did the job and I ain't even a plumber, it saved me ££ on plummeting costs. Rated 5 out of 5 by Zyno from Great Great item does the job and just the right length for good leverage. Rated 4 out of 5 by Manxdavid from Value for money. They were a bit tight and sticky at first but with a squirt of 3 in 1 oil and little use and they're fine. A great tool for the money.